Situated in the quiet fishing village of Portknockie, McKenzie Cottage is a traditional detached stone built fisherman’s cottage, wonderfully renovated in 2010 to a high standard whilst retaining its original character. It enjoys a village setting within a quaint street and is only a short stroll to the picturesque harbour with its creel and leisure boats. The village still retains the charm of its fishing heritage days. There are a few small shops, together with a hotel and Inn within easy walking distance. 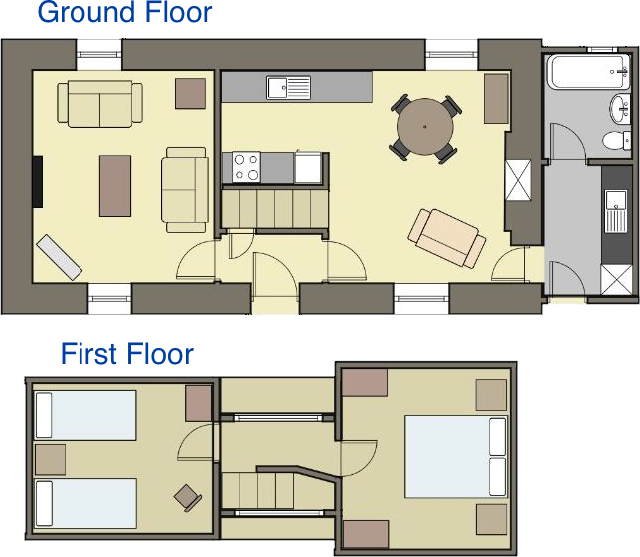 Ground floor: Entrance hall, lounge, kitchen/dining room, utility room, bathroom with shower over bath. First floor: 1 double bedroom, 1 twin bedroom, and a large storage cupboard on stair landing. The accommodation is not suitable for wheelchair users as the bedrooms are upstairs. 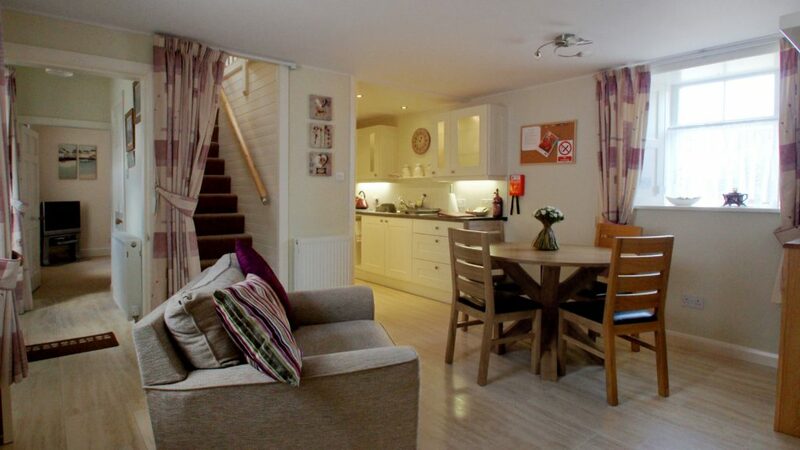 Features: Gas Central Heating throughout, Freeview Televisions, DVD players, Zanussi ceramic hob electric cooker, microwave, fridge freezer, washing machine, tumble dryer, iron and ironing board. On street parking. No smoking or pets. To the rear there is a very small space with a clothes dryer. A high chair and travel cot are available. Tariff includes gas, electricity, Wifi, bed linen and towels.